I cleared my workspace today. This space is a constant work in progress. I turned the cubby organizer upright to make more table space. I'd like to get to work on some projects, but it's hard when I'm constantly rearranging my supplies. I don't feel like I own this space, yet. I've been living in my home for about 10 months now, and this space is yet to be conquered. 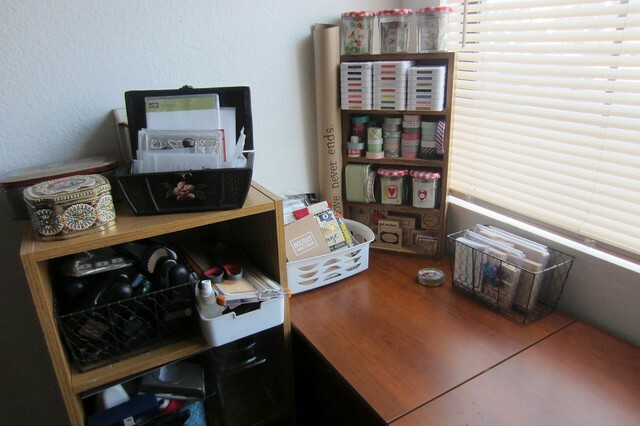 I find myself going through periods of organizing and creating with my supplies. 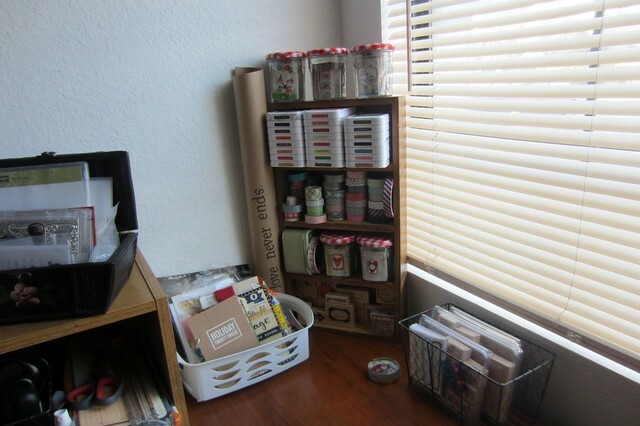 It is fun to find or rearrange those supplies as many times I find inspiration in doing just that. Wishing you a great day. I think you're right. I'm going through a period of organizing right now. It is inspirational to find things I forgot I had. Some of my supplies are so pretty. Thank you for sharing!